Poor choice of blog- This is one of the biggest mistakes that many bloggers do. It is because of the unrelated choice of blogs from blogger community with your blog. Thus, the blog owner is rejected most of the time. In order to tackle this problem you have to check on what niche the blog is and whether it matches with your blog,which will help to increase the popularity of the blog. Poor choice of words– It really means the spelling mistakes, grammatical errors and lack of words. So, it is important that you write the blog in simple English that could be easily understood by anyone. You have to thoroughly check for the errors (spelling and grammar) before posting the blogs. Because if one finds any mistakes and errors in your guest post, it will become a black mark for your blog as well as on other blogs you put the post. This will adversely affect the popularity of your blog. So, before posting the blogs create drafts and proofread it at least thrice. Poor author bio- It is nothing but your own profile where you can be shown as a professional, where other bloggers can endorse you and your skills. For a better and valuable blog, maintain a simple author bio thus that could be maintained in other blogs where you do guest posts. Social network profiles (LinkedIn) along with your author bio would boost up the popularity in market of blogs. Greedy for links- Another mistake that every blogger does is to include a number of links that the post cannot afford. It is actually quite nagging for the blog owner, thus he/she is forced to delete the links. 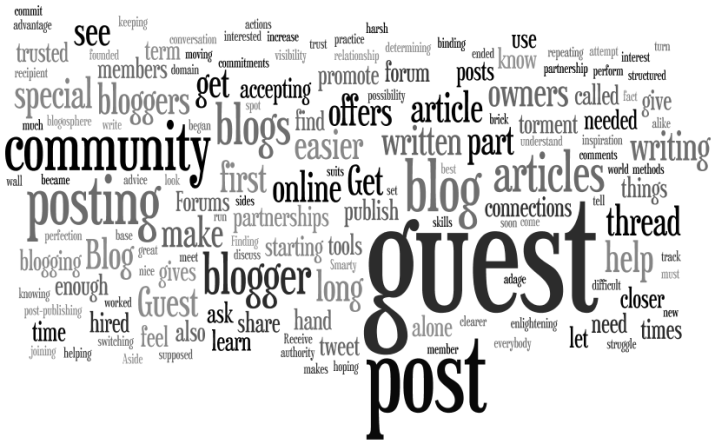 At the most 3 links are more than enough to guest post on a blog and which would enable you to increase the fame of your blog. This can be done by providing a backlink plus the author bio to the blog and 2 links are added that can be posted anywhere in the post. Poor after effects-After publishing your guest post in any blog, don’t think that the blog will become popular on its own. Instead, promote the post in others blogs thereby augment the rate of getting the guest posts as well as increase the very business for which the blog is created. If the post is promoted by you and blog owner, it would definitely increase the traffic for your blog and you would surely get potential customers in a short period of time. These were some of the most common mistake even expert bloggers make, which much be avoided to help your blog gain the kind of popularity it deserves.